In a bowl, add chicken strips, garlic paste, pepper powder, paprika and salt and mix well. Keep it aside for 30 minutes. Beat the egg in a bowl. 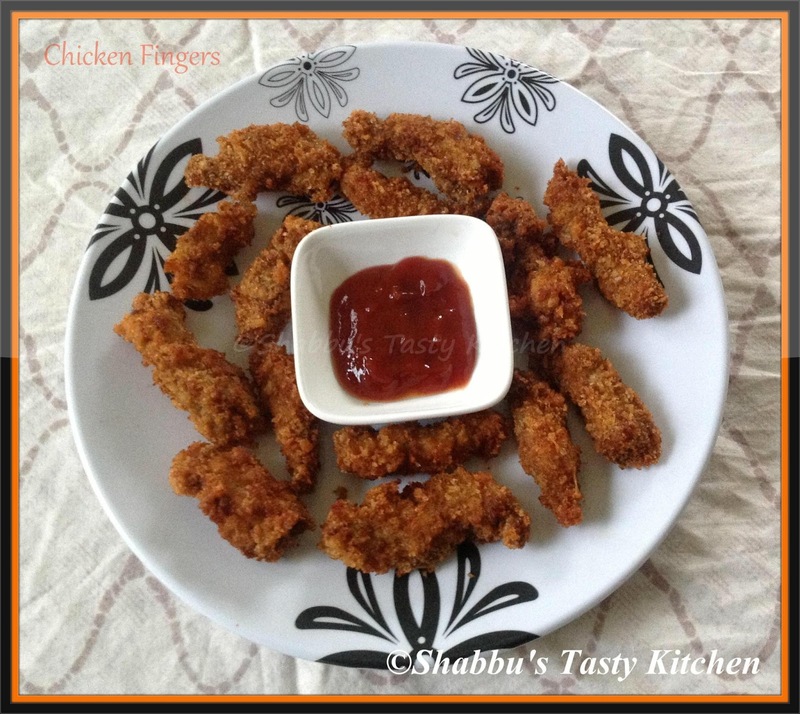 Dip each chicken strips in it and roll it in bread crumbs till bread crumbs are well coated with chicken. Yummy chicken fingers, looks fantastic! Seriously i want that plate now,highly irresistible.